Where a are the constants and x, y are the variables. In case, the magnitude of the variable is too large then it may throwback an error. Understanding exponential functions are not easy but it is necessary when they are needed to use for the real-life applications. 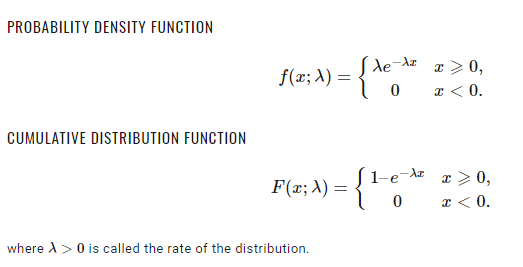 The exponential distribution in probability is the distribution that explains the time among events in a Poisson process. Further, we will discuss the exponential growth and exponential decay formulas and how can you use them practically. Where t is the time (total number of periods), P(t) is the amount of a quantity at given time t, P0 is the initial among at the time t = 0, and r is taken as the growth rate. Do you know the fact that most of the graphs have the same arcing shape? Any graph could not have a constant rate of change but it may constant ratios that grows by common factors over particular intervals of time. All the domains are the real numbers. The value will be positive numbers, not the zero. For a real number having power zero, the final value would be one. If b is the base whose value is greater than one then graph will increase. The greater the value of b, the faster the graph will increase from left to right. If b is the base whose value is less than one then the graph will decrease. The lower is the value of b, the graph will increase from right to right.